This week’s photo collage is full of shiny metal and beautiful views. The metal comes courtesy of the framing erected alongside the east and north sides of the building, as well as in the basement. Crews will continue to frame the exterior of the building, going clockwise, throughout the month. Interior framing will continue, until all those deep spaces disappear and transform into meeting rooms, offices and other spaces. 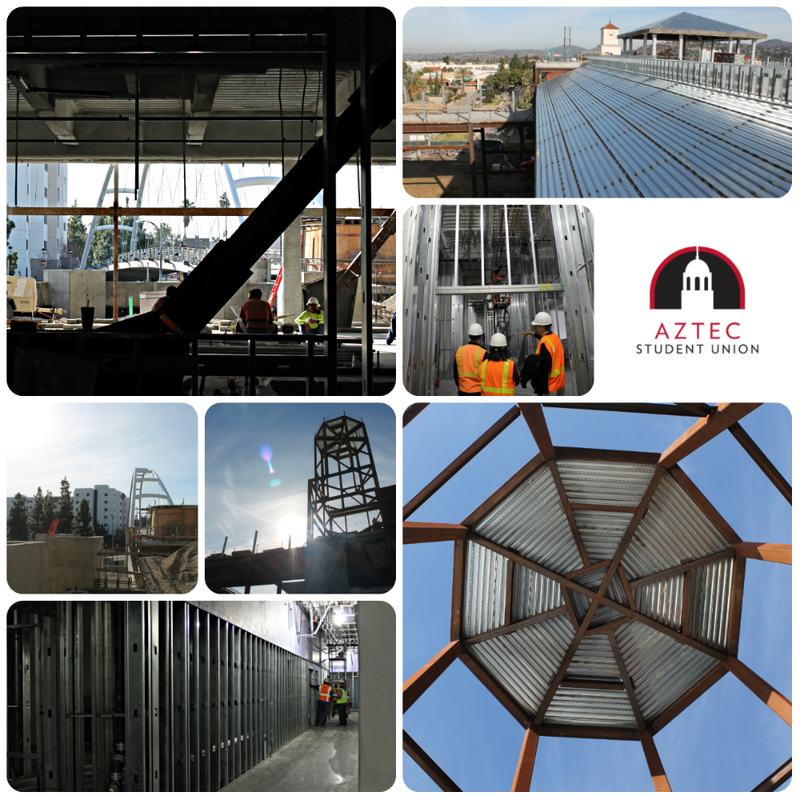 Looking for more Aztec Student Union? Be sure to “like” the project on Facebook, follow it on Twitter or check out the live construction camera on the website.